I didn't expect this one to be as long as it is, but I guess I should somehow make up for missing February. TL;DR: A corporate culture comparison of Microsoft Xbox, Mercedes-Benz R&D, Netflix, and Google based on personal experience, using the Culture Map framework by Erin Meyer. Among the things that I've been able to collect in my twenty-three-year-long professional career is the experience of working within very different corporate cultures. It's somewhat inevitable when you end up working for nine companies across seven-plus industries, and that's only if I exclude my first 15 jobs before graduating from college. I'm kind of like Russell from Up in this respect: mostly harmless, eager to learn, somewhat gullible, willing to try new experiences, a desire to collect them all, loves animals and ice cream, and generically Asian-looking. Instead of a résumé I should wear a sash with corporate logo merit-badge pins to my next interview. In 2011, the comic below illustrating some famous companies' org charts made the rounds. Anything genuinely funny tends to have a ring of truth to it, so I suspect that many corporate employees laughed (and cried a bit inside) and shared it, recognizing their own experiences. As of 2018, I have worked for three of these companies, so my mirth is grounded in personal history. This famous quote by the renowned business management guru Peter Drucker is considered conventional wisdom in corporate circles, especially by those who work in companies who have become famous or infamous because of their cultures. I have had the privilege of working in a handful of these. As an example, here's a comparison of Germany, France, China, and Japan across all of these eight dimensions. I found the book and the insights fascinating, and it prompted a number of interesting conversations with my colleagues. I recommend it. I spent a significant number of years at Microsoft, but I'll focus on the time I spent on the Xbox 360 team as it was a unique environment even within the Microsoft of that era. When I joined Microsoft in 1998, Bill Gates was still the CEO and the company, Windows, and Office was still ascendant; stories about its brilliance, arrogance, and ruthlessness were rampant in the press. I joined the Xbox team in 2004 whose charismatic leader was J Allard. Steve Ballmer was CEO and the company's fortunes had fluctuated after surviving a near-death experience with an antitrust lawsuit. This is the period when I moved into middle management and regularly interacted with executive management. It became comfortable, but my comfort compelled me to leave in order to stay fresh; I still have my original special-edition Xbox 360 and Zune. Mercedes-Benz is the venerated German luxury automotive brand whose pride is rooted in Karl Friedrich Benz's invention of the automobile in 1885. Even today, people quote its tagline, "The best or nothing." I joined the Silicon-Valley based Research & Development North America subsidiary in 2013, and my team was part of the global design organization led by the Chief Designer Gorden Wagener from Daimler's headquarters in Sindelfingen, Germany. I straddled multiple cultural divides: technology to automotive, Silicon Valley to Southern Germany, American to German, and English to Deutsch. The pride of being a part of the "three-pointed star" was very real, but so was the challenge of being one of the only non-German-speaking executives in the organization. The experience of driving nice cars on the autobahn was amazing. Netflix's culture became famous when its culture deck was shared publicly in 2009; its Founder/CEO Reed Hastings continues to be regarded as one of the most consistently visionary leaders in the industry. When I joined Netflix in 2015, I made sure that I read the culture deck multiple times. During my interviews, I asked the interviewers how aspirational versus operational the culture deck was, and their answers were in the 80-90% range. After working there for two and a half years, I'd say that they were mostly accurate. We would say that the culture was one of the company's most important competitive differentiators. Working there was often refreshing and scary at the same time; unfortunately, I was never able to completely relax even as I got sucked into watching more TV than I normally do. The Crown, Stranger Things, and Narcos are well worth it. I joined Google a little over six months ago after flirting on-and-off with the company for about a decade. The company's been famous for its original "Don't be evil" mantra, for making sense of the Internet, and its data-driven approach to employee happiness. Its corporate parent, Alphabet, is led by Google's original founders Larry Page and Sergey Brin after getting the reins handed back to them in 2011 from CEO Eric "adult supervision" Schmidt; Google's current CEO is Sundar Pichai. It perennially makes "Best Places to Work" lists (Forbes, Dec. 2017). I'm no longer a fresh-faced "Noogler" but neither am I a grizzled veteran quite yet, and there's still so much more to learn about the culture and how to operate within it. I believe that corporations often develop their own unique personalities. Some people, especially its leaders, have an incredible influence in how the culture develops and evolves; within larger companies, individual teams can develop their own distinct subculture (my experience with Xbox 360 within Microsoft, for example). In the meantime, this is how these four companies rate on each of the Culture Map dimensions based on my experience, spotty memory, and current mood. It's oddly satisfying to see this all laid out together. It's interesting to see how similar a couple companies felt on a few dimensions, but diametrically different on others. I've tried to be as objective as possible, but I realize that if I stared at this for any longer I'd be shifting things around some more. Again. Note: I've treated the scales as relative, meaning they're compared only against each other, not to some absolute scale that's inclusive of all other company cultures out there. 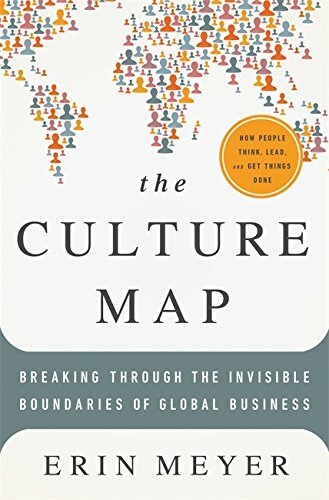 Applying Erin Meyer's Culture Map to corporate cultures was an interesting exercise that I've wanted to do for a while. This is based on a single person's experience - mine - so rigorous data it is not. If only I could do some research to get more data from other people... but I'm sure that I'll be getting more than a handful of comments. For those who work or have worked for the same companies, would you rate them the same way? How would other companies rate on these dimensions? Would love to hear what you think.